The swanky Oliver’s Lounge, located in the historic Mayflower Park Hotel, is somewhere you'll want to go for a happy hour, where they roll out platters of complimentary crudités, cheeses, salamis, and fruits, plus a rotating selection of traditional bar eats like pot stickers, chicken wings, sausages, onion rings, and deep-fried prawns. This Mextaurant has made a success of the former Kiki (and Kurrent) space -- which has been called everything from "kursed" and "krazy" to things that don't start with Ks -- by serving delicious south-of-the-border foods and giving away one free tostada appetizer (with refried beans, Cotija cheese & crema) to every diner. This cozy whiskey joint in the heart of Pike Place Market serves warm, salty popcorn to its patrons, which they can munch on till their heart's content while enjoying a super-picturesque view of the Showgirls across the street, where nothing is free, hence the reason you can't afford anything besides the popcorn. With all these beers on tap, you’re going to need something to keep you going. 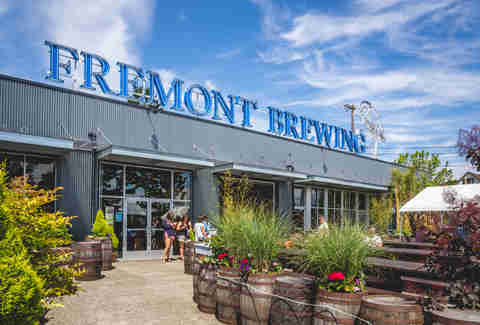 Luckily, Fremont Brewing offers complimentary pretzels with their potent drafts, and because their taproom is dog-friendly, they also offer the canine equivalent to pretzels. The Carlile Room serves complimentary cheesy poofs alongside their stellar cocktail menu during happy hour, which features discounted signature martinis and an assortment of PNW wines. 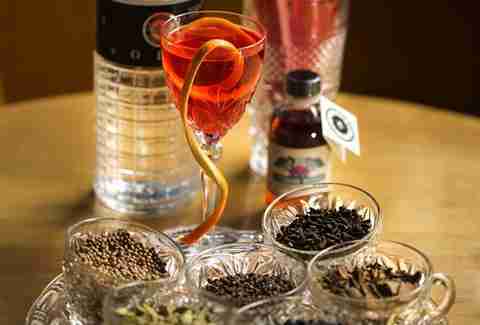 Happy hour happens between 4pm and 6pm for the afternoon delight edition and 10pm to midnight daily for the after-dark flavor. The bar is located across The Paramount, so make the slightest of detours the next time you’re out for a show -- in fact, if it’s music you’re after, The Carlile Room features live DJs on Thursday through Saturday starting during their after dark happy hour. Grab a free basket of whole shell peanuts with your cheap beers at this über-divey Industrial District spot and go nuts -- it’s totally kosher to discard your shells on the ground the good ol’ fashioned way here. 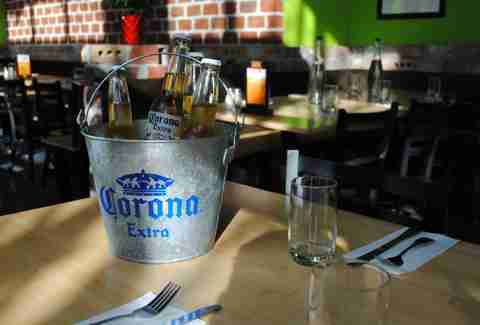 This cozy dive is a perfect stop if you’re pregaming for a show at the Showbox SoDo across the street or need a spot to decompress (win or lose) after a Mariners game -- after all, nothing pairs better with an ice cold PBR than a full basket of nuts. Hooverville also has cheap pool, arcade games, and a lot of beers on tap (22 to be exact), if you needed any more convincing. Next time you pop into Sun Liquor’s dimly lit and romantic location off Summit, be sure to ask your bartender for a nice bowl of nuts to go along with your drink. Sun’s complimentary mixed nuts include pretty much every variety you can think of, from the overshadowed and underappreciated Brazil nut to almonds and cashews. Fun fact: nothing beats a bowl of these bad boys and an ice cold Greyhound at 5pm on a Thursday night. 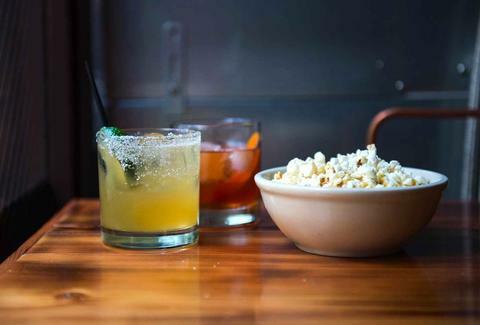 Happy hour at this upscale hotel bar falls from 3:30pm to 6pm daily and on top of a killer happy hour menu, you'll be served free potato chips and an addictive Cajun snack mix the moment you sit down. What’s in the snack mix at this luxe affair? 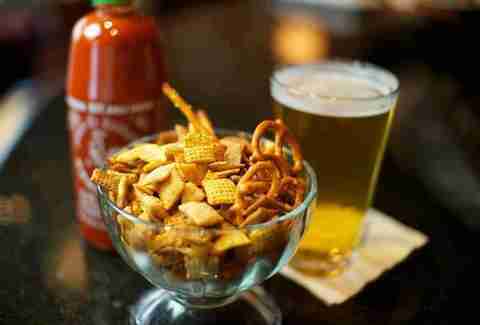 Spicy pretzels and assorted crunchiness all served in a stylish square shaped bowl. Pop by at the right time -- word on the street is Thursday through Saturday starting at 7pm -- for free live music. Chona is a Seattle and New York based photographer and writer. Follow her on Instagram and Twitter.